In this version, spelling is checked against the web (similar to Docs and Slides) so that the dictionary is always up-to-date. 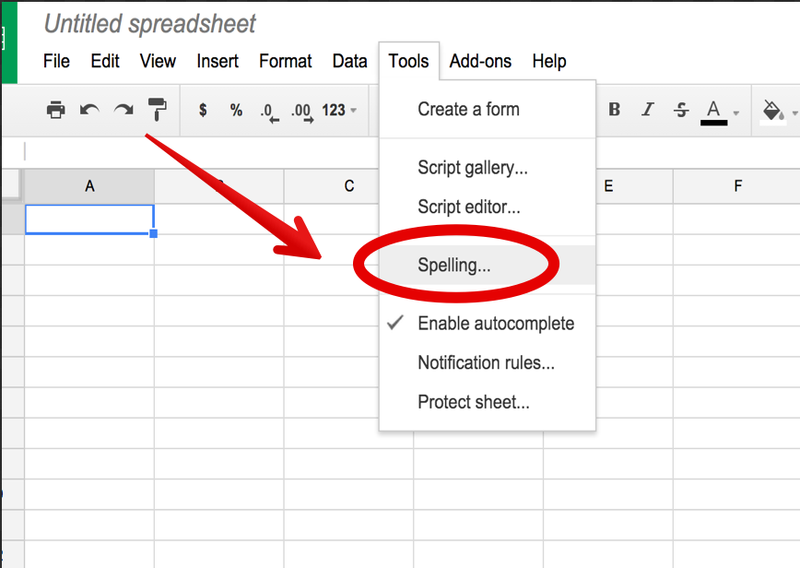 Also like in Docs and Slides, people can add words to their own dictionary so that the spell checker won't mark names or abbreviations as misspellings in the future. You can access the functionality by selecting Tools -> Spelling. Incorrect words are featured in a window on the upper right corner of the screen, along with suggested spellings. Suggestions can be accepted or ignored.